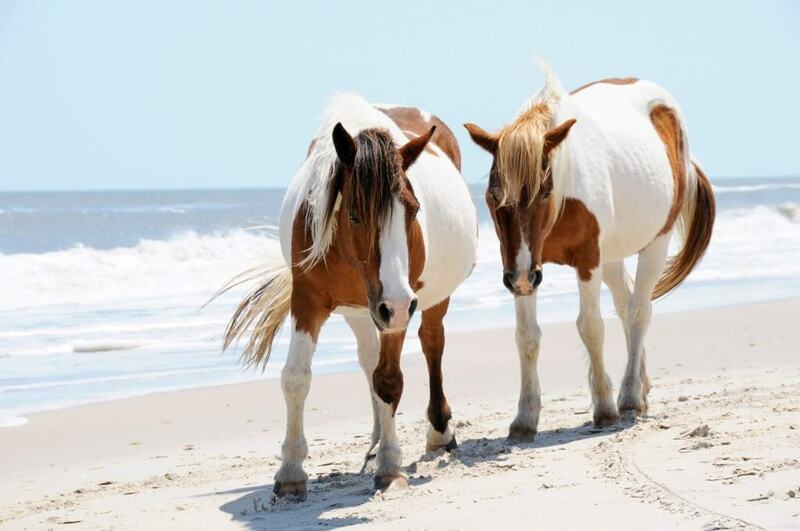 Sandy Pony Donuts’ name was inspired by the shores Chincoteague Island and the Chincoteague Ponies. Sandy Pony Donuts originated on Virginia’s eastern shore in the quaint little town called Chincoteague Island. Our business pays special homage to the island culture, and it’s world famous wild ponies. In April 2015, Sandy Pony Donuts rolled out our first donuts from our food truck, set up just off the access road to the Chincoteague National Wildlife Refuge. Locals and tourists reacted and took a liking to our product. The line continued to form and grow each weekend into the height of our first successful summer season. Owners Brea and Ben have known each other nearly their whole lives. Attending grade school together, from K thru 12, they both graduated from Southern High School in 2007. Both were accepted and graduated from Maryland universities, Brea from Salisbury University and Ben from Maryland University. After finishing college, Brea began working for NASA as a photographer and graphic artist at Wallops Flight Facility. Ben studied criminal justice and had a background in building/construction and went on to start his own company, Great Wall Builders Inc. in 2012. Growing up working in restaurants, Brea always had a dream of starting her own one day. With Ben’s business experience and endless encouragement, he came up with a plan to fulfill this dream. Made-to-order donuts was an un-marketed business on the island; the opportunity was present, so the couple jumped on it. Investing time and money into equipment, hiring staff, and producing the perfect menu all took about six months to complete. We were searching for a way to start our own business and use our talents for something with which we were passionate. Creating their unique menu took about a half a year of trial and error; mixing and testing different glaze flavors and combinations. They enrolled the help of friends and family, and much to their delight, and occasional dismay, as their taste testers. Brea and Ben created the 24 flavor combinations, featured on the current menu. The donut names utilize their sense of humor and pay homage to the seashore theme central to Sandy Pony Donuts. After a successful summer season, Brea and Ben considered leaving their full-time day jobs to focus on the donut business. After some research, they settled on Annapolis, Maryland for their second location, this time, a brick and mortar storefront. At the end of October 2015, they opened doors in Annapolis and strived for the best. To their astonishment, the Chincoteague inspired Sandy Pony Donuts received an outpouring of positive support from the local Annapolis community. Expanding the store menu, they added Island Creamery homemade ice cream, Bubble tea, and local Annapolis City Dock coffee. And it has only grown from there. We have two more locations in Bethany Beach, Delaware and Deale, Maryland. Our popularity has continued to grow, and we are ever grateful for the public’s positive response. We are passionate about making fresh, hot, delicious donuts, and are excited that the community shares our affinity for these sweet treats. Come in today and try one for yourself!